This character itself directs us to not only hear what’s being said but also notice visual cues to better understand the true feelings behind the words. We’re reminded to offer our full attention, rather than worry about how we’re going to respond. And most important, we’re asked to receive everything tenderly and openly, attending to it with care. But the truth is, this does not comes so naturally to most of us. This is not the way we listen habitually. It's more like Harper Lee writes, "People generally see what they look for and hear what they listen for." And our habit of "limited" listening is further exacerbated by our stress and tension. Imagine getting dressed to go to a party, maybe a thanksgiving gathering, in clothes that are two sizes too small. Everything feels constricted. It's uncomfortable. I don't know about you, but if I'm wearing something even one size too small, I feel annoyed and grumpy. I can be with my favorite people, but if I'm constricted like this I can't pay attention to them. In fact, I can't pay attention to much of anything except my own discomfort. We are so often constricted by the tension in our bodies and stress in our minds that it's as if we are always wearing these "too tight clothes". Now, imagine wearing these too tight clothes and going to a challenging gathering, or being with someone who may 'push' your buttons. Odds are you really are going to have a difficult time being truly present and listening compassionately - not only to others around you, but with yourself as well. It's going to be hard to 'hear' in a way that is going to truly serve your wellbeing and those around you. But we can practice listening differently. We can practice releasing our tension, and opening up our attention - so we can show up in a different way. I am excited to share a 3-minute listening Practice with you. This video will introduce you to a very simple On The Spot relaxation technique to use off the mat and during conversations and interactions with others. (And at your thanksgiving gathering!) In short, listening with curiosity and kindness comes easier when your body is more relaxed and your breath is free. And remember, how we listen to others can leave them feeling loved; seen heard and loved. And in this same way, how we listen to ourselves will do just the same. 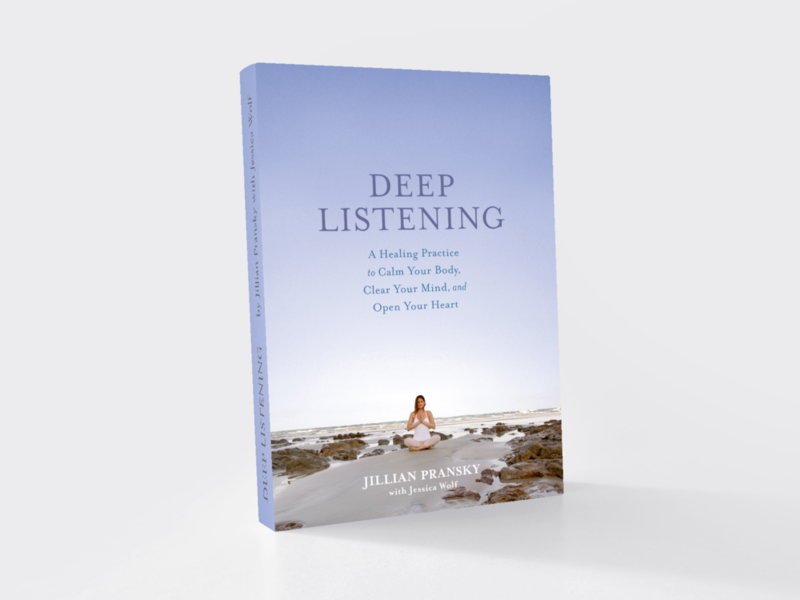 In my book Deep Listening, I share many tools and practices to bring our kind attention inward as well as to others, to help us reconnect with our own well-being and wholeness. Also come join me live on Facebook on Thanksgiving Morning 8 am EST for a simple practice to feel more calm, clear, open, and grateful all day long. P.S. I am so grateful to hear readers are engaging with Deep Listening and I've been loving meeting so many of you and new friends to at my book signings and retreats. I am most especially heartened to hear that you are personalizing the Deep Listening Practices to fit your life and using the accompanying Guided Meditations on my web site! If you think others would benefit from Deep Listening, I would be grateful if you would help me spread this work by leaving a short amazon, good reads, or social media review of you liking.